Leena and Ryan (names changed) divorced years ago and continued to co-parent their children. But when Ryan began using drugs, his paranoia escalated. He began calling their school—and Leena’s home—at all hours, ranting about how the children were being hurt or kidnapped. Then Leena discovered that during weekend visits Ryan was giving the children knives before they went to sleep to “protect themselves.” Leena was determined to keep her kids safe, but couldn’t afford an expensive custody battle. She also knew she couldn’t navigate the legal system alone. Losing custody has been an important wake-up call for Ryan. “When I took full custody, he realized that I wasn’t playing around.” Ryan is now working to stay clean and is getting mental health treatment. Leena is cautiously optimistic and allows him supervised visits with the kids at her home. For 27 years the North Carolina Access to Civil Justice Act (ACJA) helped provide access to justice for North Carolina’s most vulnerable citizens, including seniors, homeless veterans, domestic violence victims, the poor, and the disabled. This act provided the mechanism for funding from court filing fees to support the three primary civil legal aid providers in North Carolina: Legal Aid of North Carolina, the4 Charlotte Center for Legal Advocacy (formerly Legal Services of Southern Piedmont), and Pisgah Legal Services. These organizations work to bridge the “access to justice gap” for eligible North Carolinians—a lofty charge, given that the most recent report from the Legal Services Corporation on this topic documents that 86% of the civil legal problems reported by low-income Americans received inadequate or no legal help. Currently, 23% of North Carolinians—2.2 million people—qualify for legal services from these legal aid organizations. This vast amount of need for civil legal aid has grown 30% since 2008, while state funding has consistently decreased over that same time period. At the height of state support, North Carolina directly appropriated or dedicated fees and fines totaling over $6.1 million to support access to justice. In this past legislative session, however, the North Carolina General Assembly repealed the Access to Civil Justice Act and removed the allocation of $1.50 from civil and criminal fees that fund the act, thereby withdrawing approximately $1.7 million in funding. 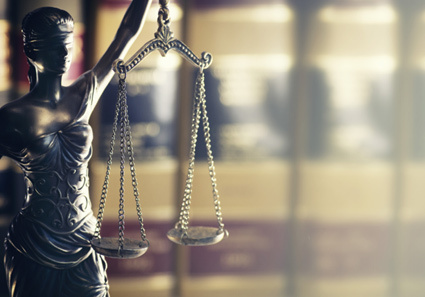 The new loss of the Access to Civil Justice Act funds, which constitute over half of the remaining state funding, will result in a significant reduction of service capacity and legal representation for thousands of North Carolinians. This cut not only impacts our citizens, but also impairs judicial system accessibility, effectiveness, and efficiency. To date, no stated policy goal has been articulated for the repeal of the ACJA. Upon indication that the Access to Civil Justice Act was under threat, the NC Equal Access to Justice Commission unanimously adopted a resolution in support of the act and its funding. The North Carolina Bar Association, the North Carolina Advocates for Justice, and other bar organizations and stakeholder groups advocated against the repeal and elimination of funding. Ultimately, however, the widespread support from our legal profession for this essential core of our justice system did not meet success in the legislative session. Nevertheless, attorneys continue to respond. Pro bono attorneys have stepped in to help meet the needs that will continue to grow as a result of this loss of funding. Still, attorney volunteer efforts, while substantial, cannot replace the loss of core funding to support North Carolina’s legal aid providers. You help bridge the justice gap by volunteering as a pro bono attorney, making a financial contribution, or contacting your legislators to voice your support for legal services funding. More information can be found on the NC Equal Access to Justice Commission’s website at www.ncequalaccesstojustice.org . Children are usually assured that the “boogey man” isn’t real. But what if your own dad told you instead that someone was coming to get you, and gave you a knife to “protect” yourself? Keep Leena and Ryan’s story in mind as you consider whether or not to become involved in this issue. Jennifer Lechner is the Executive Director of the North Carolina Equal Access to Justice Commission . This article appeared originally in the spring 2018 edition of the North Carolina State Bar Journal .